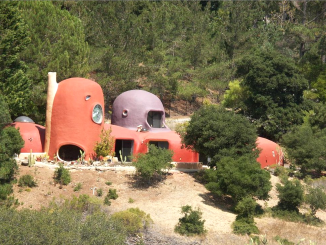 The Flintstone House in Hillsborough. Post file photo. 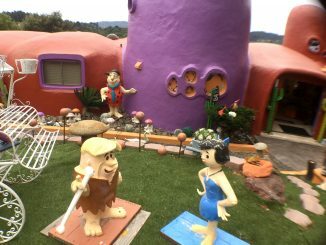 The town of Hillsborough yesterday (March 13) sued the owner of the quirky Flintstone House, alleging she violated local codes when she put dinosaur sculptures in the backyard and made other landscaping changes. 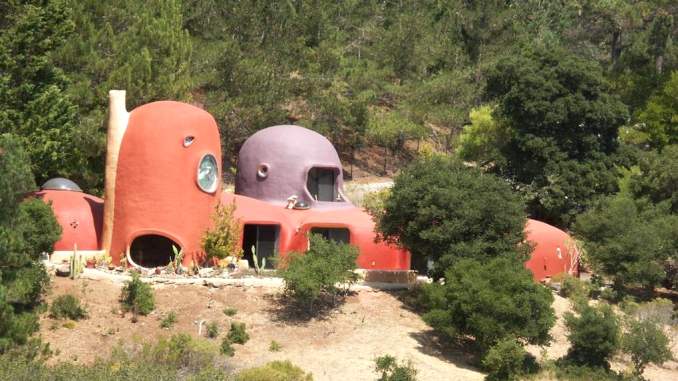 The town filed the suit against Florence Fang, the eccentric former owner of the Independent and Examiner newspapers, who purchased the orange and purple house in 2017. • other additions to the front and backyard. The town hit her with stop work orders on Dec. 11, 2017, Jan. 12, 2018 and Aug. 1, 2018. The suit claims she failed to comply with any of the orders, and so she was cited with multiple violations of the town’s Municipal Code. The Fang family appears to be defiant.